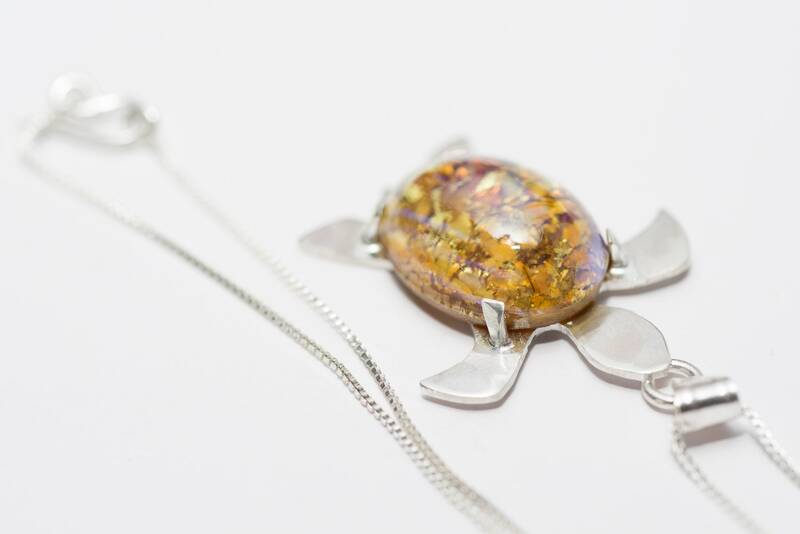 An ideal gift for anyone who loves turtles, this charming sterling silver necklace features a glass opal reflecting turtle-back hues of ochre, yellows + greeny-browns. Supremely comfortable to wear, make this cute turtle a feature of your summer wardrobe. It may be the next best thing to swimming with one!